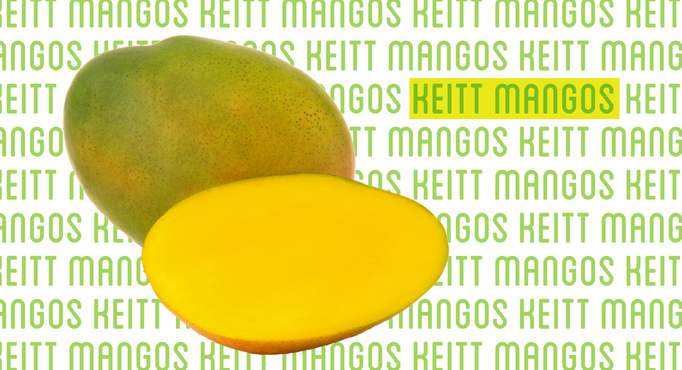 We’re in the height of Keitt mango season! These large, green-skinned mangos are only available for a short window during the year and can be challenging to find. 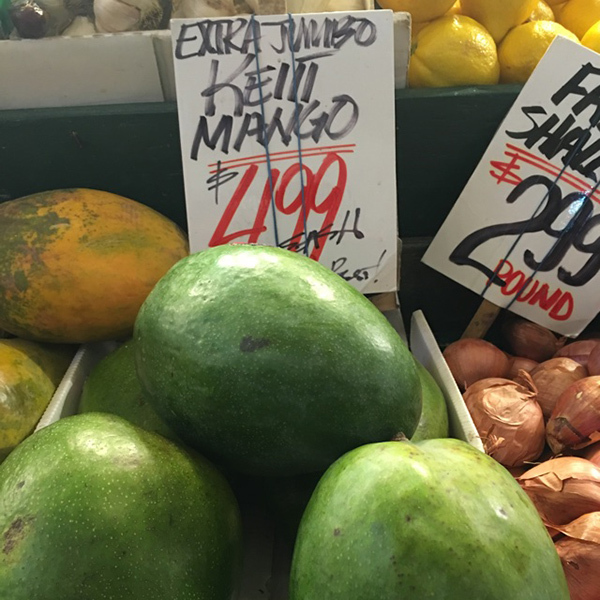 But if you can get your hands on these jumbo mangos, the sweet and tangy flavor is worth every penny! Mangos are named for the people who discovered them, with most of them starting as backyard fruit trees. This variety is named for Mrs. J.N. Keitt who planted a seed in her Homestead, Florida backyard in 1939. Today, this cultivar is grown across the Caribbean, Central and South America, including Mexico, Nicaragua, Guatemala and Puerto Rico. These mangos stay a green color even when they’re perfectly ripe. To tell if they’re ready to eat, you’ll need to give it a light squeeze to see if they give a bit. If they’re rock hard, you can put them in a paper bag to ripen for a few days – just like you already do for peaches! Keitt mangos are in peak availability from July through September, so now’s the perfect time to look for this variety. If you can’t find them in your usual grocery store, try checking out a locally owned store. When you do find these mangos, you’ll know from their distinct green skin and huge size. Some Keitt mangos have grown as big as five pounds. Learn about the six varieties of mangos that are most commonly found in grocery stores across the United States. There is a mango available every day of the year!